NomAppetit.com | A Seattle cooking blog. I love cozy pasta dishes all year round, but in cool weather they are especially comforting. In order to keep them in the weekly menu, I’ve looked for ways to reduce the pasta in favor of healthier ingredients. This combination is a particularly successful lower-pasta pasta dish. You can even make it without pasta at all and it’s still great!! I love to make this dish spicy. 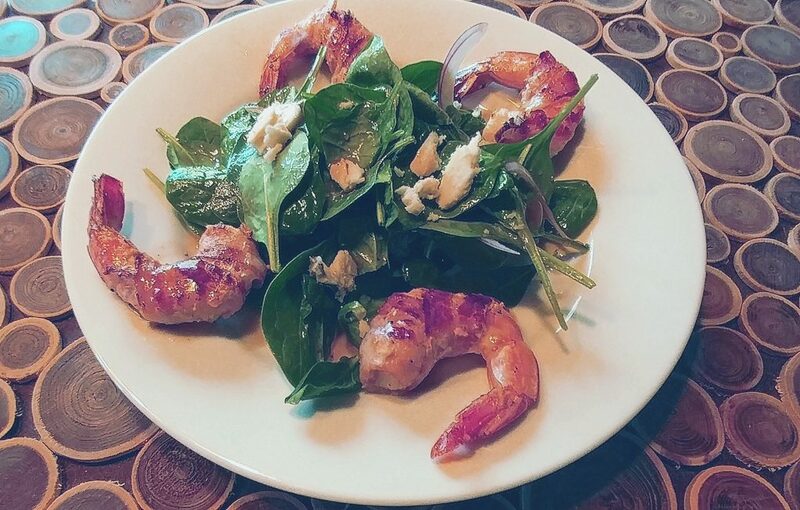 I use the spicy oil from my favorite hot peppers when I make this. You could make a mild version of this by omitting the crushed red pepper and using a sweet Italian sausage instead of a spicy one. A comforting pasta dish that's light on the pasta. Bring a small saucepan of salted water to a boil and cook pasta to al dente according to package directions. Heat 1 TBSP of olive oil in a medium skillet to medium heat. Squeeze sausage out of casings into skillet and cook for ~4 minutes until mostly browned. Add broccoli, garlic, and crushed red pepper to skillet and cook for ~1 minute until garlic is staring to brown. Add 1/2 cup of pasta water and bouillon to skillet and stir to distribute. Then add beans, cover and turn heat to low. When pasta is al dente, lightly drain it add it to the skillet and stir to combine. Remove from heat and stir in remaining 2 TBSP of olive oil. Garnish with shaved parm and additional olive oil if desired. I love Kelly’s Jelly Strawberry Habenero Jelly. I love it with cheese and crackers, but I do find that it would take a LOT of cheese and crackers to use up a jar. This is another great use for this delicious product. You could also make this with a mixture of hot pepper jelly and sweet jelly. When I was in law school, there was a little Chinese place near the law school where I would sometimes go for lunch and I always had the tomato and egg stir-fry. 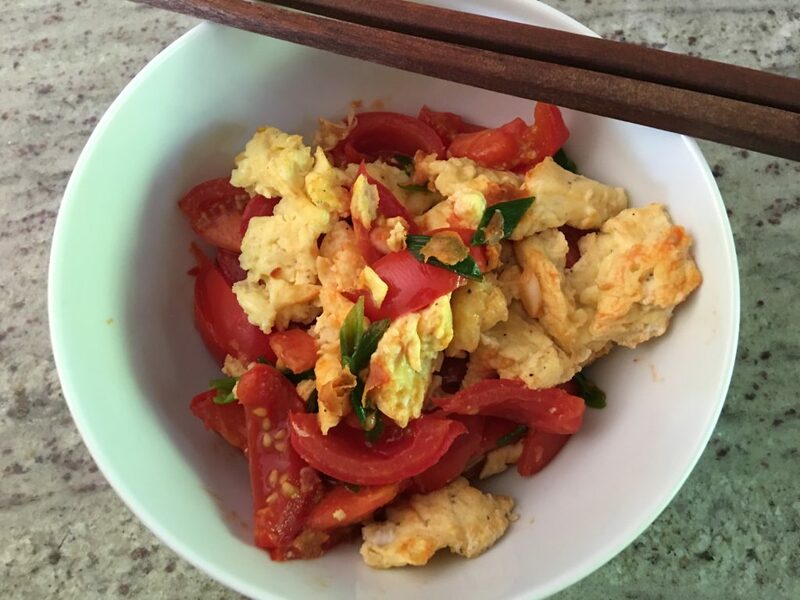 It was such a simple combination, just eggs, tomatoes and scallions, but it was so delicious. I tried to recreate it by stir-frying some tomatoes and scallions, then scrambling in some eggs and adding a bit of soy sauce. It wasn’t the same.